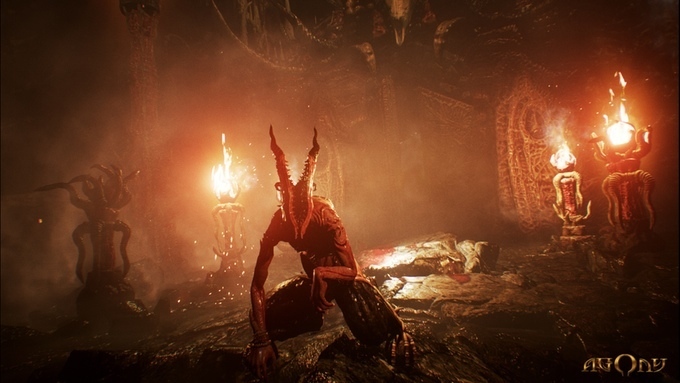 The folks at Madmind Studio want you to get a one-way ticket to Hell with Agony. This indie survival horror game looks like a terrifying trip through hell, madness and an awful lot of gore. You play a tormented soul trapped inside hell with no memories or sense of who you are. The only way to escape is to meet the mysterious Red Goddess. Thankfully, you’ll be able to possess the lesser demons you run across in order to help you survive the harsh hellscape. There are puzzles you’ll solve in your own blood and weird succubuses with a craving for flesh. The trailer below gives us a good sense of the demonic threats that you’re up against in Agony. It seems like developer Madmind is going for a more overall frightening atmosphere instead of straight jumpscares. To induce anxiety, fear and shivers on your back, you can’t rely only on well-known images, but you must reach deep into your own mind and get rid of the limitations, drawing inspiration from there, This is the only way to reach deep-seated fear of death and suffering, and Agony will inspiration mainly from this place. Madmind Studio (composed of veteran developers who worked on games like Tom Clancy’s The Division, The Witcher 3, Sniper: Ghost Warrior 2, Alien Rage, Enemy Front) are about a third of the way to their CAD$66,666 Kickstarter goal (nice touch, right?). Agony is scheduled for release on PC, PlayStation 4 and Xbox One in Q2 2017. Some of the campaign’s stretch goals include Agony VR Edition ($125K), multiple endings ($150K), boss fights ($175K) and even additional playable characters ($200K).